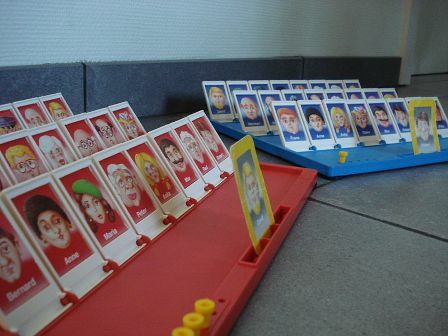 A six-year-old Irish girl has been the latest to call ‘sexism’ when she questioned board game creator Hasbro about the gender imbalance in her favourite board game, Guess Who? In an email to Hasbro she said: ‘I think it’s not fair to only have 5 girls in Guess Who and 19 boys. It is not only boys who are important, girls are important too. If grown ups get into thinking that girls are not important they won’t give little girls much care.’ You can read the full exchange, including Hasbro’s response, here. Workplace discrimination is on the rise, according to a new study conducted by the Australian Bureau of Statistics (ABS). Approximately 67,300 (19%) women employees perceived experiencing some level of discrimination in the workplace while pregnant, with 91% of these women directly associating the discrimination with their pregnancy. This number has increased from when the ABS last reported on the issue six years ago. Among the complaints commonly reported: ‘Missed out on opportunity for promotion’ (34%), ‘Missed out on training or development opportunities’ (32%) and ‘Received inappropriate or negative comments from their manager/supervisor’ (28%). The Equal Opportunity for Women in the Workplace Agency (EOWA) says that the new statistics are ‘troubling’. Have you experienced similar discrimination in your workplace? A former model from the US version of gameshow ‘The Price is Right’ was awarded US$777,000 (AUD$742,330) after the Superior Court jury determined she was unfairly discriminated against by producers of The Price is Right, FremantleMedia North America, when she tried to return to work post-maternity leave. In their defence, FremantleMedia claimed they were satisfied with the models they had working for them at the time. The trial is set to continue and will deterimine whether she should also be awarded punitive damages of US$8 million. The Church of England has voted against legislation that, if passed, would have allowed the ordination of women bishops. The legislation needed a two-thirds majority among each of the three houses in the church’s governing body, and while the bishops and the clergy voted in favour, the laity fell short by just six votes. The Bishop of Chelmsford, Stephen Cottrell, said the church was now at risk of becoming ‘a national embarrassment’. The issue of women bishops won’t be put back on the agenda until 2015. According to Medicare, the number of Australian women requesting cosmetic genital surgery has more than doubled in the last 10 years, and one Melbourne gynaecologist said the desire to look normal down there started early, with some school-aged girls as young as 12 coming in with their mothers seeking help. ‘These requests come from lack of understanding of what is considered normal and this found across all ages groups of both men and women,’ she said. To help combat the problem, Women’s Health Victoria will launch a new program in 2013 aimed at informing women of the natural diversity of female genitalia. And in other news, actress Cameron Diaz recently told the UK’s Sunday Times that she doesn’t mind being objectified. In fact, she asserts that ‘every woman does want to be objectified’ and that it’s not only healthy, but empowering. Do you agree with her? This entry was posted in Featured, News and tagged feminist news round-up, News. Bookmark the permalink.